There are a few common mistakes that marketers and companies make with social media. One of the biggest mistakes is opting to start with social media objectives; marketers take a channel such as Facebook or LinkedIn, and then set goals for raising their numbers of likes, comments, and shares. This approach sounds like it makes sense, but it can trap you in a social media–only perspective. Consider how much those likes, comments or shares actually bring to your business. 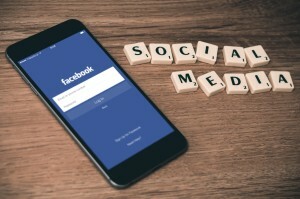 Unless you connect your social media actions to broader business goals from the beginning, ROI can be elusive, and social media becomes an end unto itself. Limiting brand presence to the most popular social media channels is also a recipe for disaster. Your campaigns success often depends on having a multichannel social media strategy. If you are not using other platforms, such as Instagram, Pinterest or YouTube, you could be missing out on valuable leads. Designate an experienced staff member to handle your account. Letting interns or unqualified, inexperienced staff take control of your social media channels is asking for trouble. Many brands have been set back using poor spelling/grammar, sharing personal opinions that don’t fit the brand they’re managing, and showing a lack of knowledge when speaking about the business. Just because someone “understands” social media or uses it often does not qualify them to successfully manage your company’s public communication channels – at least not without direct supervision. True social media management requires a complete understanding of your services, products, overall business, editorial strategy, and more. If you want to train an intern, that’s fine. But make sure that they are properly supervised by a social media professional with several years of formal work experience. Social media is a crucial component of a great marketing strategy, but that’s not all. For example, your HR department can use social media for recruitment by posting jobs as they become available. What better way to promote a job than to ask your followers to share with their friends? It’s an instant boost you won’t find by posting on most job sites. Your social media channels should further be used to address customer service issues. You should monitor any time your company is mentioned and respond quickly to comments and/or complaints. Helpful replies to comments can reach new audiences, improve your brand image, and increase the likelihood that customers will purchase again. Depending on your industry, you may need your customer service department to get involved. All of this helps build trust, and foster a relationship between your client or lead, and your brand. When you post or share content, are you truly targeting an audience, or are you putting your content out there for anyone and everyone to see and respond to? This set-and-forget approach seldom provides any form of ROI, in the form of leads or sales. Once you have found your focus, it’s important to provide consistency. It’s not ideal to leave your channels stagnant for days or weeks at a time; determining a schedule that works for you and even scheduling posts will surely provide the consistency in posting your brand needs. Social media marketing is about much more than just posting your content and hoping potential customers react – there must be a more structured plan motivating your actions to successfully align your social efforts with your overall business objectives. To measure success, brands need tools that can monitor, publish, and track the appropriate analytics. They also need to integrate social media across departments, since it is an integral part of the strategies of many areas of the business. Consider implementing (and using!) tools like Google Analytics, which can break down social traffic to see which efforts are working, ranging from website conversions from a direct sale to email subscription, event registration, or quote requests. Setting up goals with monetrary values per conversion can help determine where to focus your time and money beyond followers and likes — connecting social media to the bottom line.